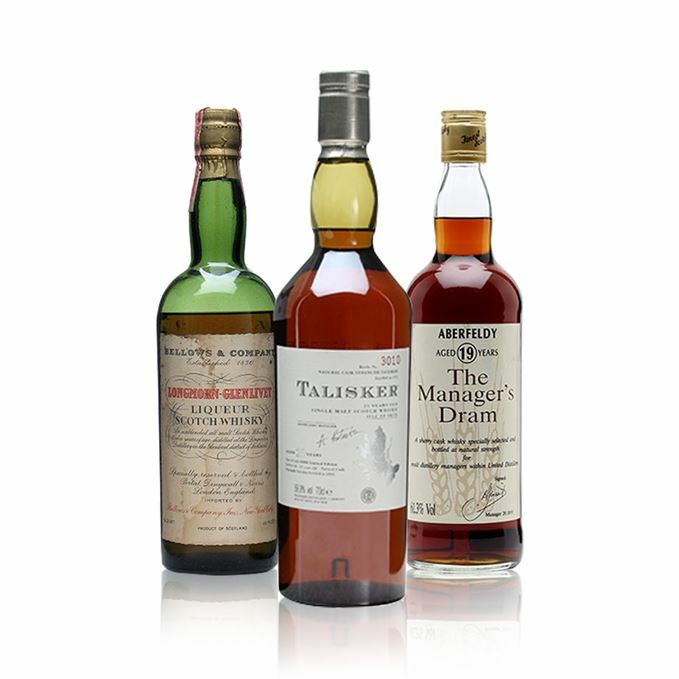 The latest trio of rare whiskies kicks off with a scarce Aberfeldy Old Manager’s Dram single malt, which was created for United Distillers’ malt distillery managers in 1991. Bottled at cask strength, the whisky was aged for 19 years in a Sherry cask. Dave Broom then travels back in time with a 12-year-old Longmorn, bottled in the 1930s for New York importer Bellows & Co.
And rounding off this week’s old and rare whiskies is a 25-year-old Talisker, distilled in 1975. Only 6,000 bottles were released in 2001, and it is still the only officially bottled 25-year-old with a specific vintage. The colour suggests Sherry cask, the nose confirms it with masses of figgy fruits and black liquorice emerging first. Then comes tea, bread, dried prune and cherry wood, marzipan along with a dry, bitter touch akin to calamus, with added cardamom and mace-like spiciness. In time, you get orange pekoe tea. It’s very oak-driven and assertive. Water, however, makes it lose much of this bold complexity. Immediate sweetness reassures you that this is indeed Aberfeldy, as does the thick, honeyed feel. Things remain hot – unsurprisingly, given the slightly alarming strength – though you can still detect ripe citrus, plump raisin and gingerbread; but that relief is brief, as the oak quickly grips, then the alcohol burn returns. Water has the hoped-for softening effect, but sadly brings out more wood. Coffee creme, then neat spices and astringency when dilute. 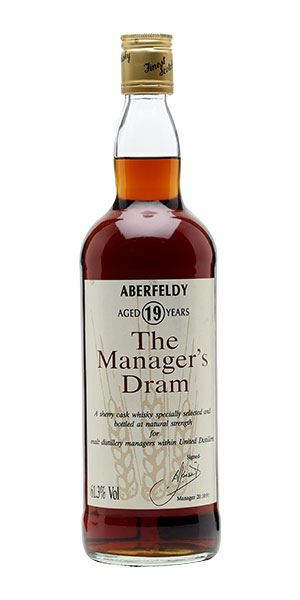 Bottled in 1991, this is Aberfeldy in unusually thrusting form. Too oaky (and too strong) for me. A young Arnold Schwarzenegger struggling with his eight times table. There are touches of coal smoke from the off, unusual for Longmorn – and suggestive of a very old distillation. But normal service quickly resumes with beeswax, honeysuckle and cooked orchard fruits, quince, osmanthus, frangipani blossom, old paper and firm oak. It’s quite gorgeous and complex. Go back after a wee while and there’s jasmine, stem ginger, ripe fruits, mint and the creamy/toffee flavour of warm condensed milk. I was wary about adding water, but there’s a beautiful, if light, pure peach juice coming out. Immediately thickly textured and waxy, but there’s alcohol here which, worryingly, sits slightly to one side. Some of the complexity seen on the nose nestles down softly in the mid-palate, but it dries quickly. Water flattens it. 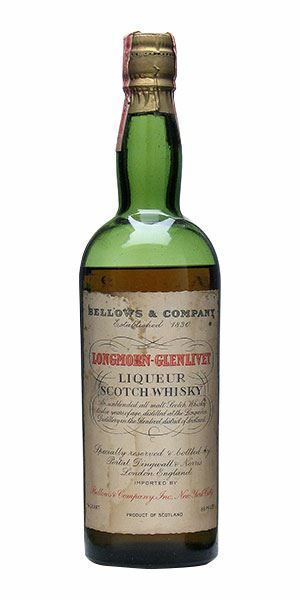 Bottled by Bellows & Co, Longmorn’s US agent, this is a brief flaring of the past with the palate never quite hitting the heights of the nose – but oh, that nose! A glint at the kindling. 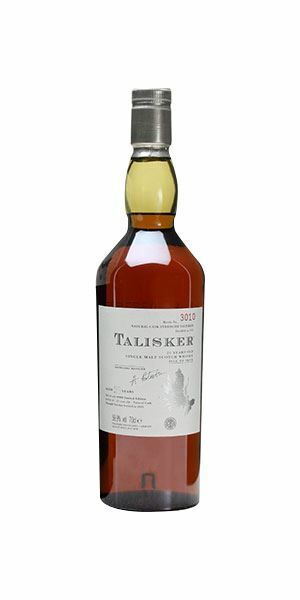 Another ferociously strong old bottling, which gives the impression that the alcohol is drawing a veil over the full character, but there is sufficient heathery moor burn to point towards Talisker, along with a toasted rice element and then peat oils. It benefits from the addition of water, which brings out more smoke, leaf litter and a meatier edge than you usually get with this distillery – lamb cooked in hay with touches of thyme and rosemary. You approach with a degree of trepidation, but the expected explosion doesn’t happen. Instead, there is a slow amassing of rich fruits before a sharp nudge from the alcohol seems to ignite the smoke into life. It begins to grow slowly and steadily, as the whisky moves back along the tongue – never losing its depth but adding saltiness, canvas and masses of smoke. Water makes all of these elements come together in a slightly more controlled and polite fashion, and you lose some of that tidal surge of peat. Fantastic length and balance. This is a belter of a Talisker. Be bold and have the water on the side. Rare Batch 23 05/07/2017 A 1970s Glen Flagler bottled for Italy, a celebratory Glen Ord and a fresh 1980s Glen Spey. Rare Batch 21 24/05/2017 This batch features a 25-year-old Ardbeg, 38-year-old Bowmore and 21-year-old Port Ellen.